Khardungla Pass, Ladakh, is 18,380 feet above sea level. It is the highest motorable road in the world. This is what the local summit sign says when you reach there. This is what the locals believe and boast about. Therefore, this is exactly what the tourists who come for a short holiday believe and propagate. Great isn’t it? Well, the truth is, it is NOT the highest motorable road in the world. Firstly, the elevation of Khardung La is 17,582 ft (5,359 m); a good thousand feet less than the figures shown across sign boards in the city of Ladakh. Even if the figures were correct, there are higher motorable roads than Khardung La in the world. The locals and the army would love telling you stories about how the road was built with helicopters lifting jeeps, coal tar and cans and the pride of being at the highest place in the world; but the truth is far from it. 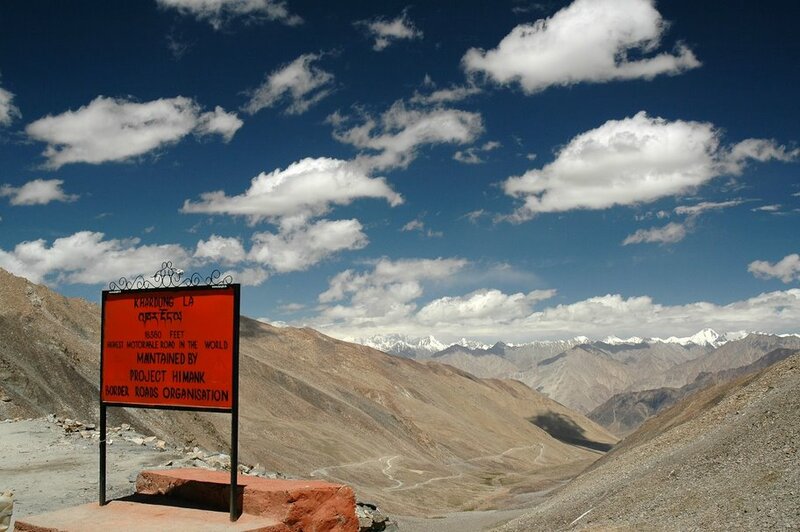 So where is the highest motorable road in the world exactly? It’s situated in the central part of Tibet. It’s called the Semo La (La means “pass”). At 18,258 ft (5,565 m), Semo La is the highest vehicle accessible pass in the world. If your patriotic Indian heart just crumbled, I’m sorry, but these are the facts. Mana Pass, a mountain pass in the Himalayas on the border between India and Tibet, which is at an altitude of 18,192 ft (5,545 m), comes at a close second on the list. To give you a reality check, Khardung La is not even third on the list. There is another pass called the Suge La (5,430 m). What works in favour of Khardung La is that it is open all year long and the accessibility is better than all the other passes. Hundreds of bikers take this road and the idea of conquering the highest motorable road is perhaps the reason why Khardung La has its place in the sun.